CherryLux Lighting is a trading name of Cherrytech Ltd (UK). Established in 1997, Cherrytech has gone from strength to strength in the EMS market. 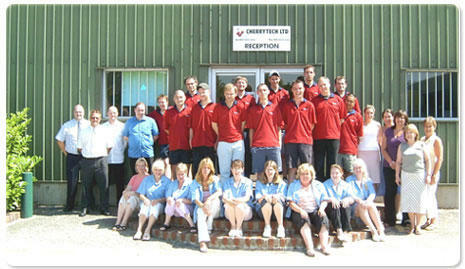 Today Cherrytech has wholly owned manufacturing and procurement operations in both the UK and Asia. Growth has been maintained through continued investment in new products and manufacturing technology, and a dedication to exceptional quality and customer dedicated cost awareness. Being involved with LED Technology since 1998, the engineers at CherryLux Lighting have been designing, developing and manufacturing LED lighting solutions for numerous applications, both indoors and out. We have been manufacturing energy efficient lighting for industrial and commercial applications since 2005, we made the light boxes for Eluma, Powerboss, and Altoeco, to name a few. At CherryLux we feel that providing an energy efficiency lighting solution goes beyond just selling lights. The solution starts with a free site audit including discussions with your key staff in relation to the issues raised by your organisation’s lighting. Following this visit we will present a full cost and benefits analysis relating to your industrial or commercial lighting and its proposed retrofit. This analysis details energy, cost, environmental and maintenance benefits. We offer full installation services UK-wide, covering all energy saving industrial solutions for large industrial buildings – these solutions include LED, T5 fluorescent, induction lamp and inclusion of daylight & presence detection control systems. Whether you are looking for a full turnkey project service or just sourcing light fixtures on a supply-only basis, we have a solution for you. At CherryLux we help our customers to reduce energy consumption, improve their bottom line and meet corporate carbon reduction targets. We also offer a first class warranty and technical support service for your peace of mind and assurance. Our target markets are industrial, commercial, infrastructure, and leisure sectors. Typical applications are, warehousing, factories, car parks, agricultural buildings, sports facilities, general security, bus and train stations, ports, and temporary site lighting. customers, delivered on time and within budget. To continue our investment into the development of energy saving technologies. To deliver our customers the latest and most advanced energy efficient products. To reduce energy costs and CO2 emissions for our customers. To assist companies in reducing their carbon footprint.